Fancy getting some work experience, undertaking our Young Ambulance Citizens Programme or volunteering with us? Here are the different options which you can choose from. Not sure about what career path to choose? Worried about what to do when you finish school? Or simply excited by the prospect of working as a frontline, call taker or office person for the ambulance service? Then get some work experience with us via your secondary school or college. We recognises the importance of supporting work experience. We are proud to be able to provide students with an opportunity that allows them to strengthen their own knowledge and understanding of the Trust and key roles within the Ambulance Service which we hope will support students in making important decisions over their future education. The Enhanced Simulation Suite is a fully interactive and highly immersive training centre, where you and your fellow students will use hands-on experiences in true-to-life settings with real-life clinical equipment, state-of-the-art manikin technology (life-like manikins that breathe and speak), and actors serving as simulated patients. 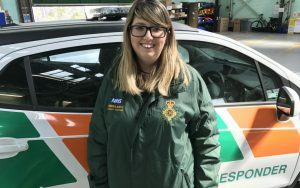 See what the students from Basingstoke College of Technology thought of this great programme at https://www.bcot.ac.uk/news-and-events/2018/03/partnership-with-south-central-ambulance-service-inspires-bcot-students/. See also our video about the programme. Community First Responders (CFRs) are volunteers who are available to be dispatched by the ambulance Emergency Operations Centre to attend appropriate medical emergencies in their local area. Volunteers undergo training at one of our training centres, explaining how to recognise and treat many serious and life-threatening medical emergencies, such as cardiac arrest and strokes. The role of a CFR is to provide assistance to patients with a medical emergency, and most importantly to start and maintain the ‘chain of survival’ in cardiac arrest patients until an ambulance crew arrives. They make a real difference by saving seconds and minutes which can make the difference to the patient’s outcome. I have been working as a dispatcher for South Central Ambulance Service for nearly 4 years. The job is demanding and challenging but we work with a great team of people and provide an excellent service to the public even when under extreme pressure. I also volunteer as a Community First Responder in my spare time and I feel this has really helped me understand emergency medicine and build on my confidence massively. Being a Community First Responder can be challenging as you are the first resource sent to a patient before an ambulance arrives. However, it is also exciting as every job is different and you never know what you are going to find! To be a responder you undertake a training course with SCAS that includes basic and more advanced life support skills as well as how to administer oxygen, using a defibrillator, treating burns and administering aspirin for chest pain. Once training is complete you are given your own kit that stays with you in your personal vehicle, a pager and a mobile phone to receive job details on. You then log on and are available to respond whenever you want to in your spare time and will be sent to jobs in your local area. Basically you will be the first on scene with a patient and you could potentially save their life! For anyone who is interested in becoming a paramedic or working for the ambulance service, like I was, I would say this is an invaluable experience and you will learn skills that are highly recognised throughout many organisations! The ambulance service is a 24/7 365 day a year service that can be challenging and busy, which isn’t for everyone. However, if you have a passion for helping others, you strive to make a difference and you want to meet an amazing bunch of likeminded, friendly and often crazy people then I would definitely recommend volunteering for us! Have you got what it takes? Then read on You must be 18 and over and have held a full UK driving licence for a minimum of one year. No previous medical experience is needed and the ambulance service will provide you with a comprehensive training course and continuous support, together with flexible hours. You can join your nearest CFR scheme within our coverage area (Buckinghamshire, Berkshire, Oxfordshire and Hampshire). Once you become a Community First Responders you will log on when you want to, for as long as you want to on the days that you want to. Not 18 yet? Don’t have a driving licence or do not feel the role of a CFR is for you? Then why not get your parents/carers and/or school involved to help raise funds? Our CFR schemes are 100% funded by public donation and a great way to support them in your area would be to help raise funds for them. Each scheme costs about £3,000 to set up, and we need to raise the money for new schemes, but also fund the ongoing work of these vital volunteers. Our Charity CEO Vanessa Casey would be happy to be contacted at Vanessa.casey@scas.nhs.uk if you and your family/school want to get involved. Whether you have used our services, or are interested in a healthcare career, being a Trust member is a way for you to have a voice on issues that matter to you. Being a member boosts your curriculum vitae when aiming for a job, or a university or college place. Members can learn about the trust, and take part in competitions, surveys and focus groups. 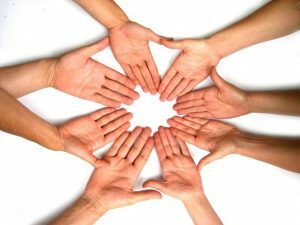 Furthermore you have the opportunity to be connected with other young members via our soon to be launched SCASYouth – The Buzz e-membership newsletter. Follow this link for more info and joining details.